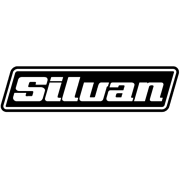 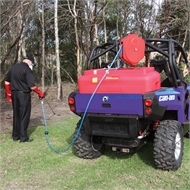 Professional self contained sprayers favoured for their flexible range of options and industrial design. Fit to Utility, carryall or UTV’s for a range of applications including pest control, road side spraying or on-farm. 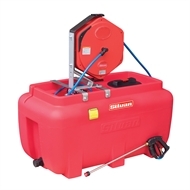 Comes with a 15m hose retractable reel with swivelling body for pest control, roadside or on-farm use.